A group of Russian and Swedish scientists just published a breakthrough paper, reporting results of a joint study by Lomonosov Moscow State University and Stockholm university. The article was published in the U.S. journal Aging. The major goal of the study was to investigate the role of intracellular power stations—mitochondria—in the aging process. Importantly, scientists made an attempt to slow down aging using a novel compound: artificial antioxidant SkQ1 precisely targeted to mitochondria. This compound was developed at Moscow State University by biologist Professor Vladimir Skulachev. 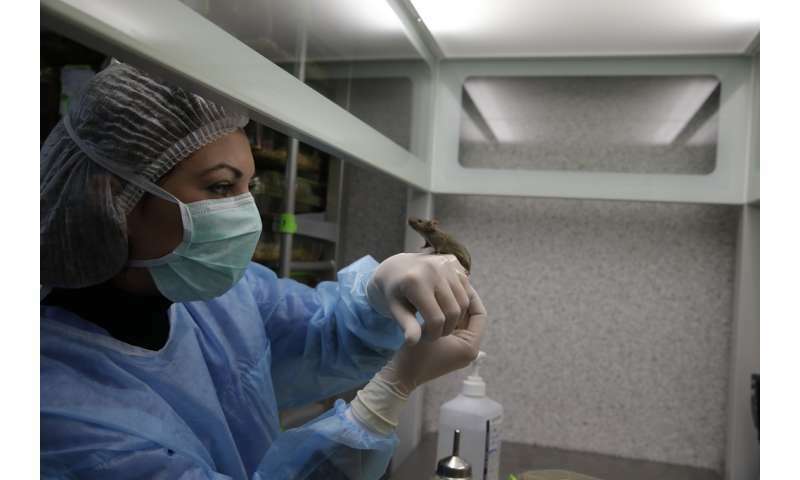 Experiments involved a special strain of genetically modified mice created and characterized in Sweden. A single mutation was introduced into genome of these mice resulting in substantially accelerated mutagenesis in mitochondria. This leads to accelerated aging and early death of the mutant mice. They live less than one year, while normal mice live more than two years. The mutation promotes development of many age-related defects and diseases, indicating that the major defect of these mice is indeed aging. Starting from the age of 100 days, one group of mutant mice was treated with small doses of SkQ1 (approx. 12 micrograms) added to their drinking water. Per the researchers' hypothesis, the compound would protect the animals' cells from the toxic byproducts of mitochondria—free radicals (reactive oxygen species). Another group of animals served as a control group, receiving pure water. Differences between the two groups became obvious starting from the age 200 to 250 days. Animals in the control group aged rapidly as expected. They lost weight, their body temperature decreased, they exhibited severe curvature of the spin eas a result of osteoporosis and developed alopecia. Their skin became thinner, and in the case of females, the estrus cycle was impaired. Finally, their mobility and oxygen consumption decreased. The development of all these typical traits of aging was dramatically decelerated in the group treated with SkQ1. Some of the aging traits did not appear in that group at all. Professor Vladimir Skulachev, the designer of SkQ1 molecule and co-author of this study, says, "This work is quite valuable from both theoretical and practical points of view. First, it clearly demonstrates the key role of mitochondrially produced reactive oxygen species in the process of aging of mammals. At the same time, our study opens the way to the treatment of aging with mitochondrially targeted antioxidants." Prof. Skulachev's project is now developing a set of pharmaceuticals based on SkQ1 molecule. The first drug—Visomitin eye drops—is already approved and marketed in Russia. It also passed phase 2 clinical trials in the U.S. The next pharmaceutical product in project's pipeline is an oral form of SkQ1 similar to the one used in the experiments. It is now in the process of clinical trials in Russia. If it achieves positive results, an "anti-aging" drug can be approved for systemic indications in two to three years.